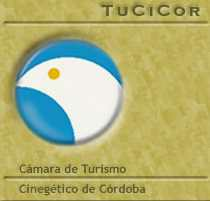 The Córdoba Chamber of Hunting Outfitters (TUCICOR) is an association of elite hunting guides operating in the Córdoba area. C&C Outfitters is very proud to be a member of this fine organization, and Nacho, the owner of C&C, serves as a Board Member. Below is a letter from October, 2005 which provides additional information which you will find helpful as you plan your Argentina dove hunt. We sincerely recommend that you visit their website for additional useful information. “After more than two decades, the Province of Córdoba in Central Argentina continues to offer what to many shotgunners is the finest bird hunting experience available anywhere: high-volume Eared Dove shooting. 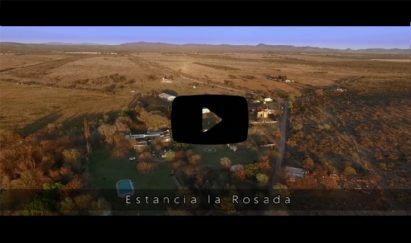 Hunting parties from all over the world, especially the United States and Europe, enjoy the peerless wingshooting as well as the natural scenery and sincere hospitality of the people of Córdoba. Good road and airport infrastructure and varied flight options also help making a bird hunting trip to Córdoba a simple task as well as a pleasant experience. Dove shooting is an important part of the economies of Northern and Eastern Córdoba, offering direct or indirect employment to thousands of families that live in areas where work alternatives are hard to come by and is helping to revert migration of youth from rural to urban areas in search of work. It has also become a major part of the income of subsistence farmers with small holdings in the Córdoba hills, where their properties can only carry a few head of cattle or goats; they can increase their income considerably if they lease the hunting rights. Our main asset, the birds themselves, are formally considered a pest by the Provincial Ministry of Agriculture. The fertile valleys in Northern and Eastern Córdoba have gone from cattle grazing grasslands to agricultural land, which, in combination with the heavily wooded hills, offer the ideal mix of feed and shelter to the non-migratory Eared Dove (Zenaida auriculata), locally known as “Paloma Dorada” (Gilded Dove). Recent studies indicate a growth of the dove population to more than 30 million birds that, without the mitigating effect of hunting, would offer a true threat to the success of agriculture in the area. Members of the Chamber, all licensed, well established and reputed organizations, are kept permanently up to date by the Chamber on both National and Provincial regulations and other institutional matters involving hunters and hunting. The Chamber is their formal voice and contact with organizations such as the Governor’s office, congress, the Córdoba Environmental Agency that emits hunting licenses and controls the proper use of hunting field leases, Customs, the National Arms Register, that regulates the use of arms and ammunition, Provincial and National Tourism authorities, Airlines, Airport Authorities, etc. Whether a newcomer or a seasoned Córdoba visitor, the Chamber recommends that the services of one of our members are contracted to ensure a trouble-free dove hunting trip to Argentina“. When is dove hunting season? Is the same a pigeon or dove?